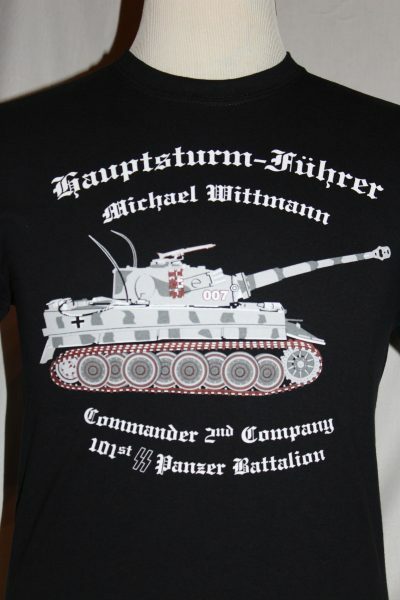 The Michael Wittmann 007 Tiger Tank At Normandy T-Shirt is a double sided print in black. 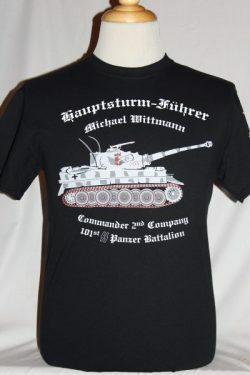 Front Design: Wittmann's Tiger I Tank 007 with text. 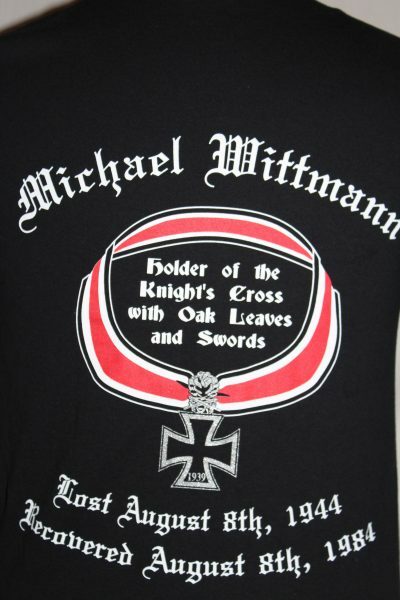 Back Design: Wittmann's Knights Cross with text. Wittmann and several of his crew were lost in Normandy on August, 8th 1944. 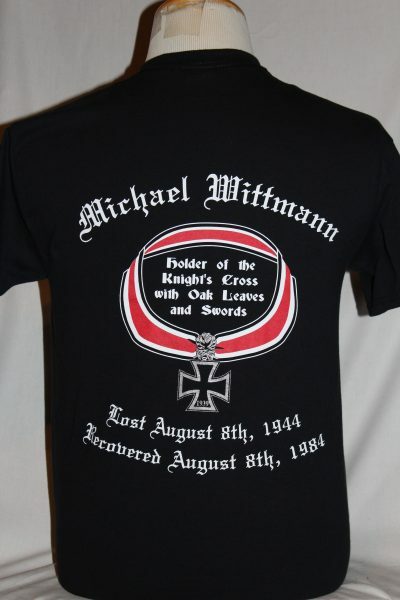 Former surviving members of The Leibenstandarte discovered the grave on August, 8th 1984. Exactly forty years to the day.